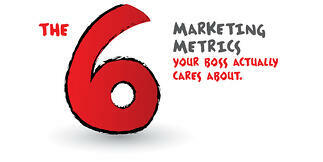 Prove The ROI of Your Marketing. When it comes to marketing metrics that matter to your execs, expect to report on data that deals with the total cost of marketing, salaries, overhead, revenue, and customer acquisitions. Download The 6 Marketing Metrics Your Boss Actually Cares About and learn the critical marketing metrics you need to succeed.